In this presentation, I will describe work we have been carrying out at the Wyss Institute for Biologically Inspired Engineering at Harvard that I head, which leverages biological design principles to develop new engineering innovations. I will highlight recent advances that my team has made in the engineering of "Organs-on-Chips"— microfluidic devices lined by living human cells created with computer microchip manufacturing techniques that recapitulate organ-level structure and functions as a way to replace animal testing for drug development, mechanistic discovery, and personalized medicine. I will review recent advances we have made in the engineering of multiple organ chips, including lung, gut, kidney, bone marrow, and blood-brain barrier chips, and in their use to develop human disease models and discover new therapeutics. I will also describe our efforts to integrate these organ chips into a 'human body-on-chips', and to engineer an automated instrument for real-time analysis of cellular responses to pharmaceuticals, chemicals, and toxins. I will also summarize other examples of bioinspired nanotechnologies in development at the Institute, including mechanically activated clot-busting nanotherapeutics that target to vascular occlusion sites like artificial platelets, a dialysis-like therapeutic device for cleansing blood of pathogens and toxins in patients with sepsis, and a biologically inspired surface coating for medical devices that reduces the need for soluble anticoagulants. Donald E. Ingber, M.D., Ph.D. is the Founding Director of the Wyss Institute for Biologically Inspired Engineering at Harvard University, Judah Folkman Professor of Vascular Biology at Harvard Medical School and the Vascular Biology Program at Boston Children's Hospital, and Professor of Bioengineering at the Harvard John A. Paulson School of Engineering and Applied Sciences. He received his B.A., M.A., M.Phil., M.D. and Ph.D. from Yale University. 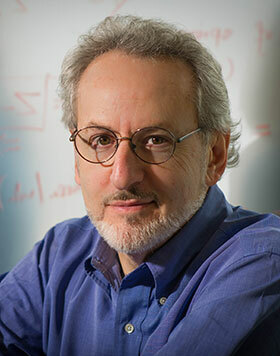 Ingber has authored more than 450 publications and 170 patents, founded 5 companies, and been a guest speaker at more than 500 events internationally. He is a member of the National Academy of Medicine, National Academy of Inventors, American Institute for Medical and Biological Engineering, and the American Academy of Arts and Sciences. He was named one of the Top 20 Translational Researchers world-wide in 2012 (Nature Biotechnology), a Leading Global Thinker of 2015 (Foreign Policy magazine), and has received numerous other honors in a broad range of disciplines, including the Robert A. Pritzker Award and the Shu Chien Award (Biomedical Engineering Society), the Rous Whipple Award (American Society for Investigative Pathology), the Lifetime Achievement Award (Society of In Vitro Biology), the Leading Edge Award (Society of Toxicology), Founders Award (Biophysical Society) and the Department of Defense Breast Cancer Innovator Award.